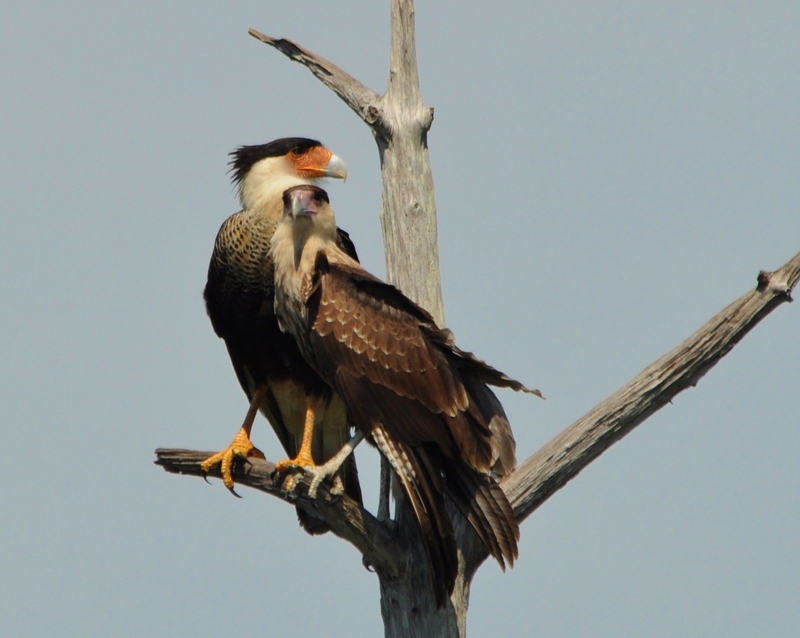 I believe this was the mother and the juvenile Crested Caracara sharing a branch. The male was nearby in another tree. Taken at Viera Wetlands in Viera, FL. Used a Nikon D5000 with a Sigma 150-500 mm lens.